MoovyGo is a new USB-C hub created for both iOS and Android devices which provides fast charging technology, 4K Ultra HD HDMI connections and is equipped with a 3,500 mAh battery, enabling you to charge your devices while away from the grid. 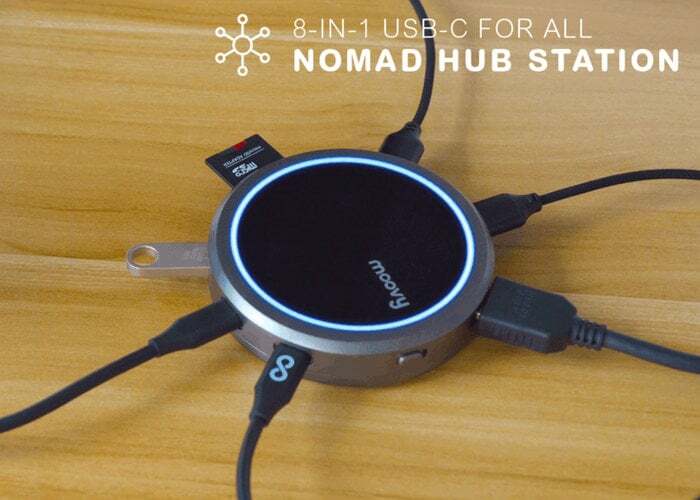 The MoovyGo USB-C Hub is now available to back via Kickstarter with early bird pledges available from €60 or roughly £52, with worldwide shipping expected to take place sometime around March 2019. For more details, full specifications and a complete list of all available pledge options jump over to the official Kickstarter crowdfunding campaign page by following the link below.